The importance of soils is often underestimated in establishing management or restoration plans. Students examine soils at Echo Valley Park in the field, and use information from the USDA NRCS soil series descriptions in this activity. 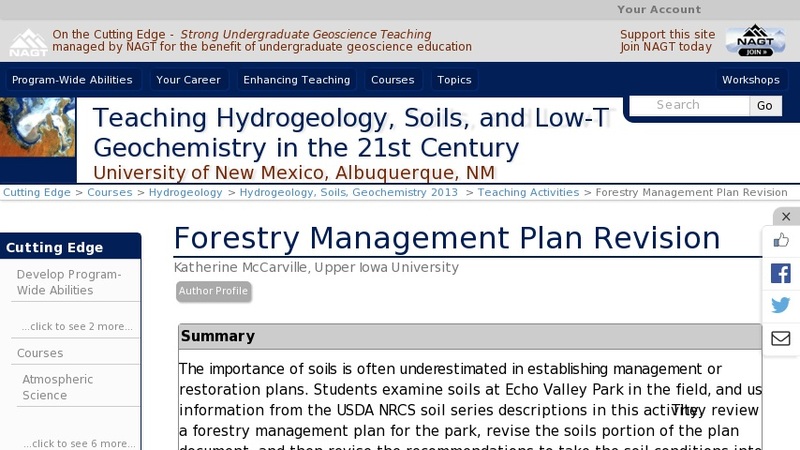 They review a forestry management plan for the park, revise the soils portion of the plan document, and then revise the recommendations to take the soil conditions into account.